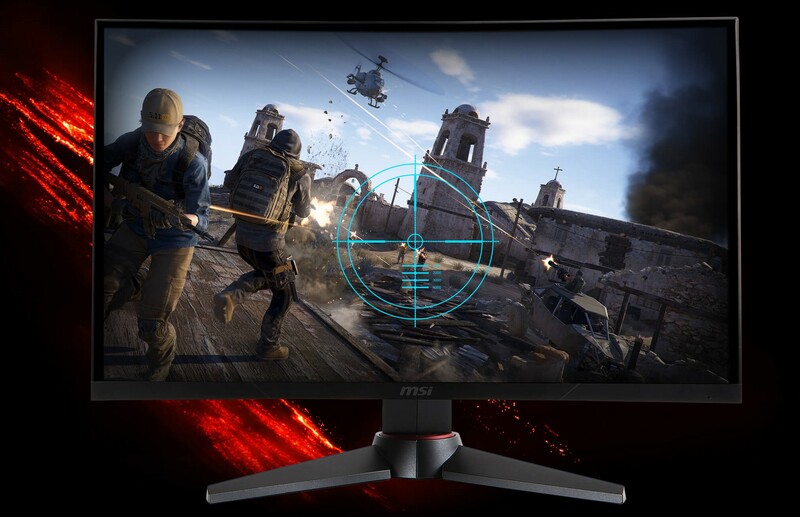 The MSI Optix MAG monitors are aiming to give you the best game immersion for your gameplay. With a gaming monitor there are a lot of options and configuration where you have to think of, or what gaming desktop you need to get the best game immersion with your gaming monitor. Well with this guide we will try to give you some insights about our Optix MAG monitors and what configuration you best can use. 2. What do you need for 144Hz? 1. 30Hz vs. 60Hz vs. 144Hz. For those how already know we are talking about refresh rate here, but let me give you a quick explanation what refresh rate is. The refresh rate is the amount of images on the screen that can be 'drawn' or refreshed per second. So with 144Hz the screen can refresh 144 images per second. With 30Hz this is 30 and with 60Hz it is 60 images per second. 144 images per seconds sounds great of course but what benefit do you get out of this? Well basically with more images in a motion it will look a lot smoother. Check out below, in this image you can see the images 'drawn' onto the screen and what this does for an animation. So with a higher refresh rate it is possible to let motion on screen go smoother, something that is good for games. In the previous point we talked about the refresh rate and that with 144Hz there are 144 frames per second 'drawn' on your monitor. Maybe you can already guess it but it is important that your Gaming Desktop also produces the right amount of screens to be send to the monitor. So with 144Hz you need a supply of 144 frames per second, or your graphics card should product 144FPS. Always keep this in mind when you play the latest games and want to game on a 144Hz monitor. To get more gameplay immersion our gaming monitors are curved. The great benefit is that you see more of your screen in your viewing field and makes you feel more connected to your gameplay. An extra is that if you use 2 or 3 screen in a panoramic setup you have 1 perfect curved viewing line. Most modern graphics cards support HDMI and DisplayPort outputs. So which one do you need to use or is better on the MSI Optix MAG series? Well this depends on the refresh rate you want. Because when you connect through HDMI you can only get a max of 120Hz, while connecting with a DisplayPort cable you will get 144Hz. If your Gaming Desktop system can runn 144fps stable in a game, it is wise to use a DisplayPort cable to get the max out of your monitor. Something we all need a little help while gaming. The Optix MAG series has a built in sight overlay. With this you can always summon a crosshair on your monitor for those games where you need a bigger crosshair.